Strategy Top Candle is a push-fall like strategy. The bot will place a stop-order in the top or bottom of candle. When price push/dip those orders will become executed. The orders will immediate exit, when price is pulled back in the level of its Drop level. This kind of strategy is very useful some day when price move within large volatility. 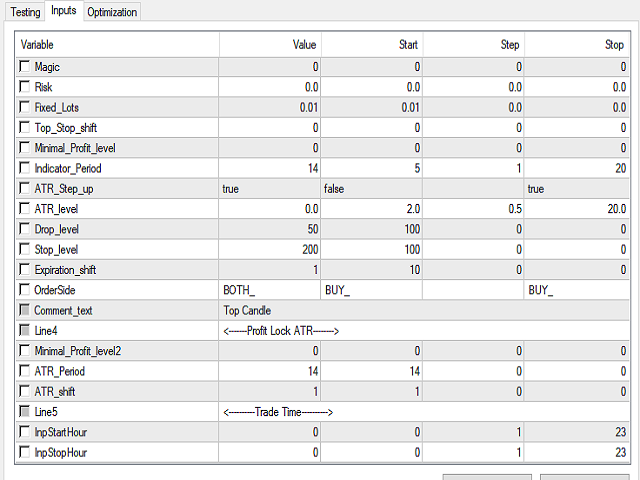 The bot use the ATR level to turn on/off its trading routine. 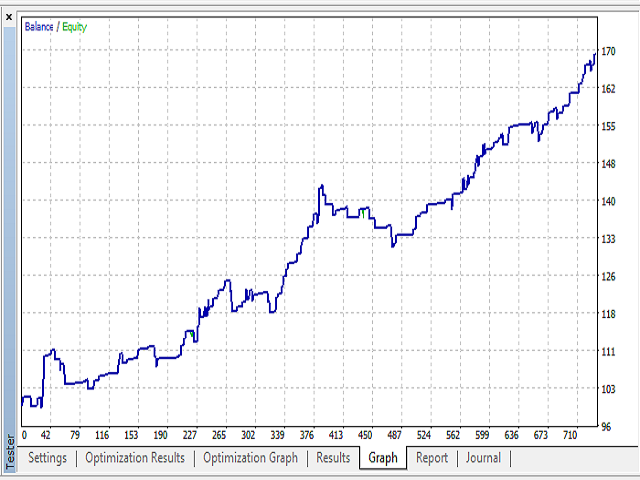 With this strategy I add a ATR profit lock to secure the trade. The bot will work when testing within tick mode. It is because these mechanism can begin and end within the volatility candle. The ATR profit lock will immediately exit the order when its demand profit level is met. And this will hold the trade in the case of ATR continue to grow. I create this strategy is for who could use to research the market condition. 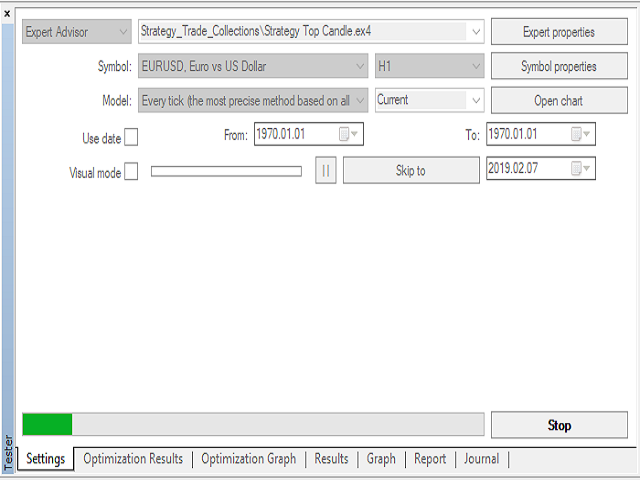 With optimization result will help understand the market situation as well as can be binding with some addition trailing or stop-loss. This strategy I have been develop for last 2 years and would like to share for some one to utilize it when the situation come or may be now a day.